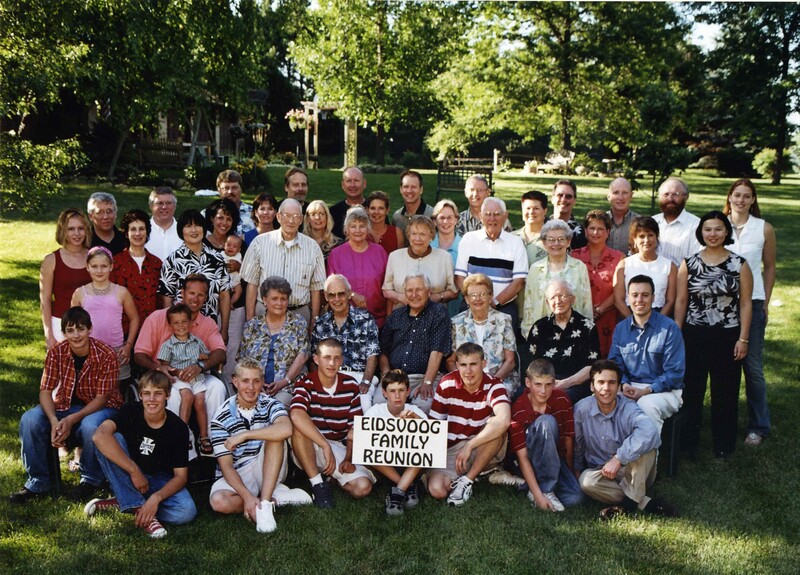 On July 6th, 2003, we had an Eidsvoog family reunion in Minneapolis, larger than any I can remember. 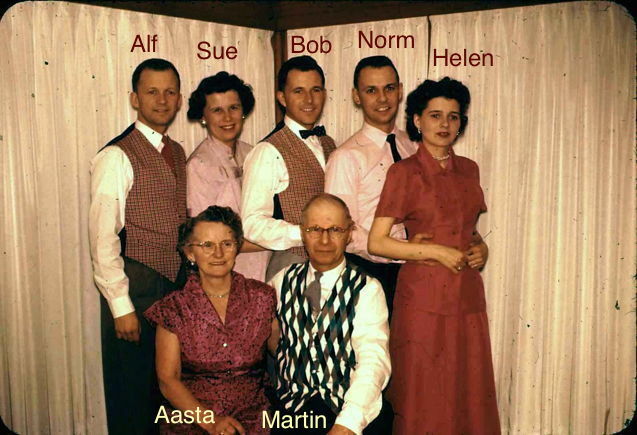 The occasion was the 50th wedding anniversary of Helen and Bart Trombley. Helen is the youngest of the five children of my grandparents, Martin and Aasta Eidsvoog, and all five children and their spouses had lived to see their 50th anniversaries and were present at the reunion (you'll see a picture on our home page). As a special contribution to the reunion, to honor the memory of Martin and Aasta, my wife Julie and I wrote and recorded a song called "Yust A Minute, Ma". It's a parody of the way they used to tell stories, where neither of them could get very far before the other would interrupt and try to set the record straight. With their heavy Norwegian accents, it was always quite a spectacle. Besides hearing the names of several of the group, you'll also hear references to Martin's spittoon (with his chewing tobacco waste) and fish cakes, which Aasta would make (with too much salt) from the latest catch of Northern Pike. You'll also hear a bit of a mock Scandinavian schottische at the end of each chorus. 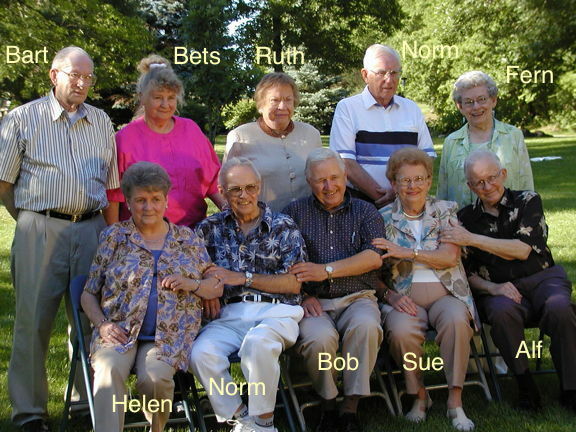 Sadly, as I write this in November 2018, all but Bets Eidsvoog have passed on, but we are all grateful that everyone was able to gather for the 2003 reunion. After listening to the song, you may wonder how I came up with Aasta's voice. It's my voice after running it through a digital audio processor called spectral effects, where the pitch has been shifted up a little but the "formants" are shifted down. I think the end result is that Aasta's voice sounds more realistic than my impression of Martin. Enjoy!